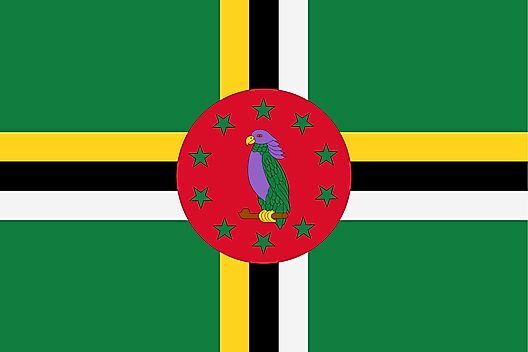 The flag of Dominica was officially adopted on November 3, 1978. 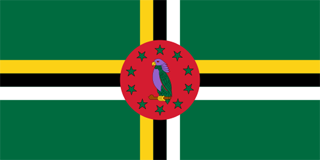 The yellow represents the original inhabitants, black the fertile soil, and white indicates the pure water. The centered stars symbolize the ten island parishes. The Sisserou Parrot is indigenous to the island. 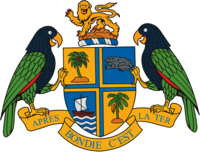 The Dominica Coat of Arms consists of a shield, with two Sisserou Parrots bracing the shield on top of which is a lion.